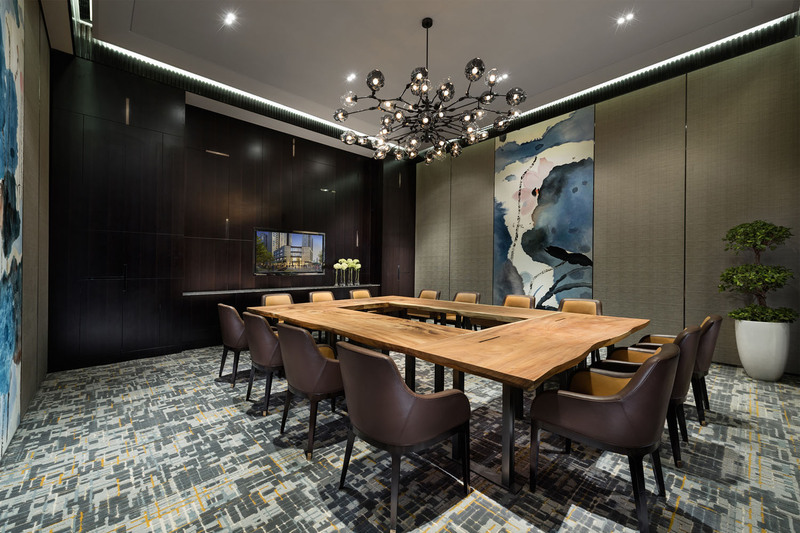 This week’s instalment of the #SBIDinspire interior design series features the idyllic residential destination designed to provide relaxation and entertainment for the residents of a prestigious development in Shanghai, as part of an overarching design concept of art and culture within the region. 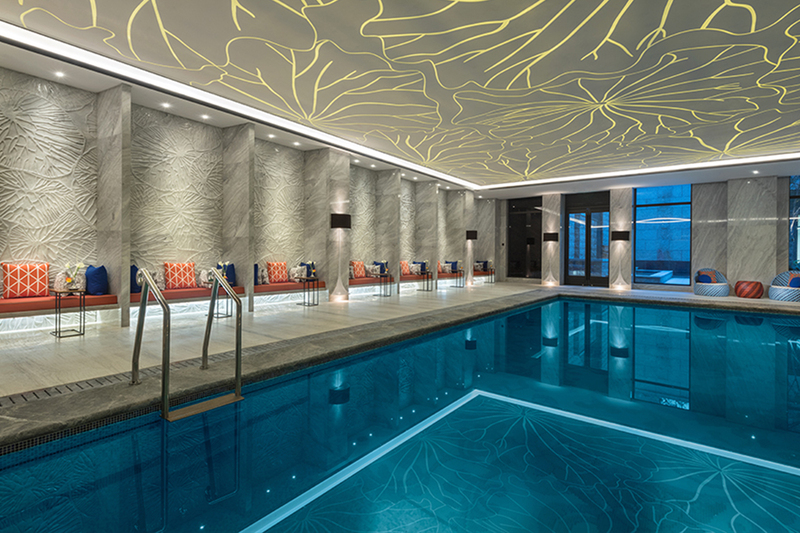 Using ‘flora’ as the primary source of interior design inspiration for this 3500 sq metre clubhouse, the project is complete with lounges, private rooms, indoor swimming pools, and even an indoor basketball court to cater to the luxurious and artistic lifestyles of the local residents. 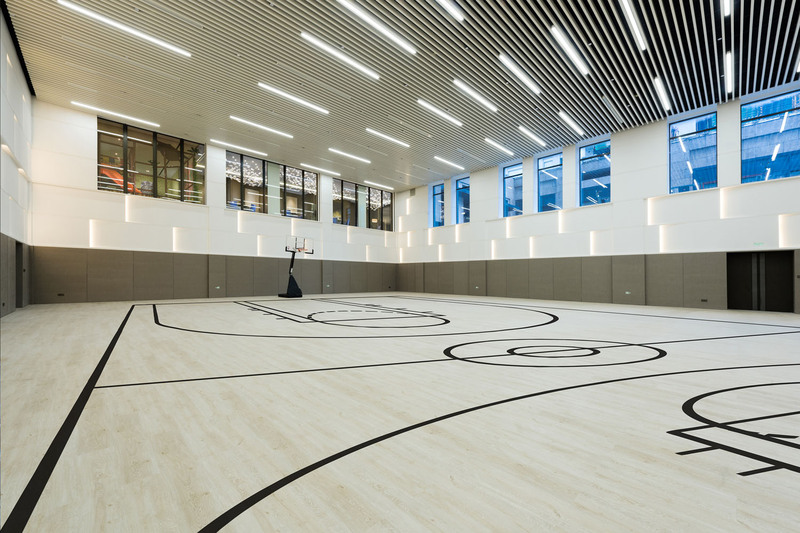 Gallery Clubhouse is designed to provide relaxation and entertainment for residents in a residential development in the upcoming district of Hong Kou, Shanghai. 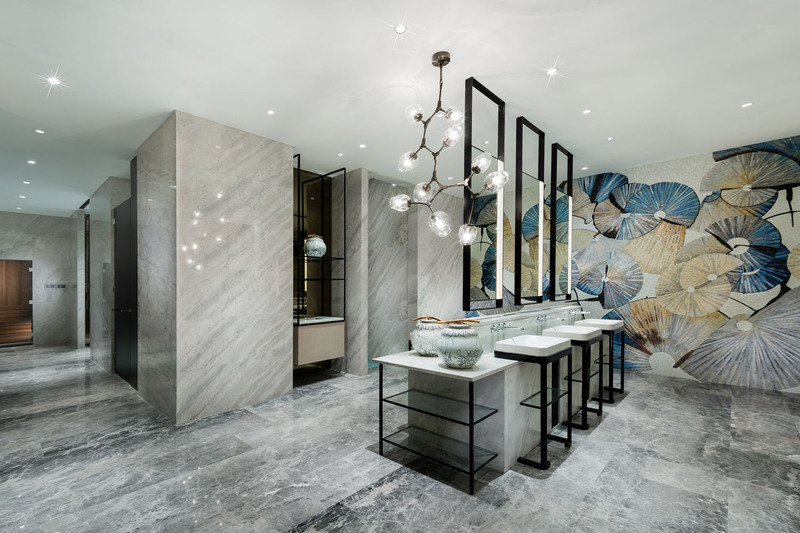 This development is one of the most prestigious developments in Shanghai with an overarching design concept of art and culture, so creating a luxurious, art gallery-esque type design scheme essential. We looked no further than towards nature for our design inspiration for this project. 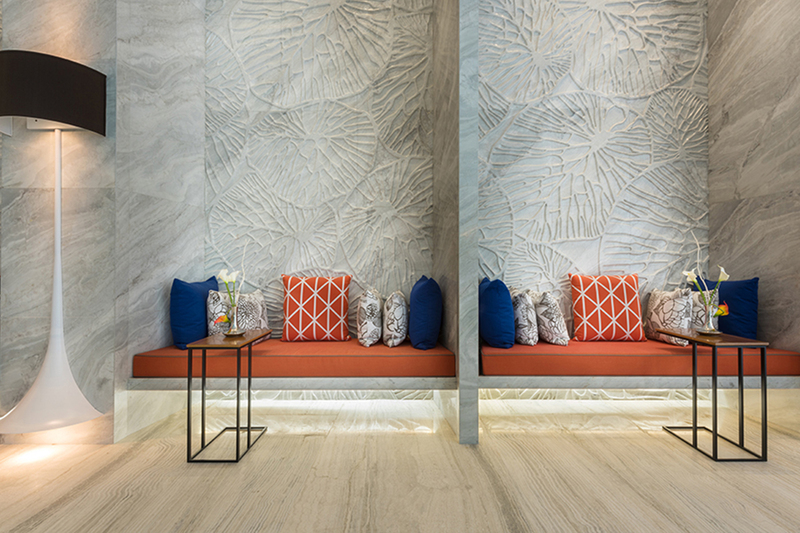 Throughout the entire clubhouse you can find elements of flora inspiration; from the mosaic wall patterns on the changing room feature wall, the floral patterns and colours used in the lobby area rug to the bespoke, hand-blown crystal chandelier in the entrance lobby. 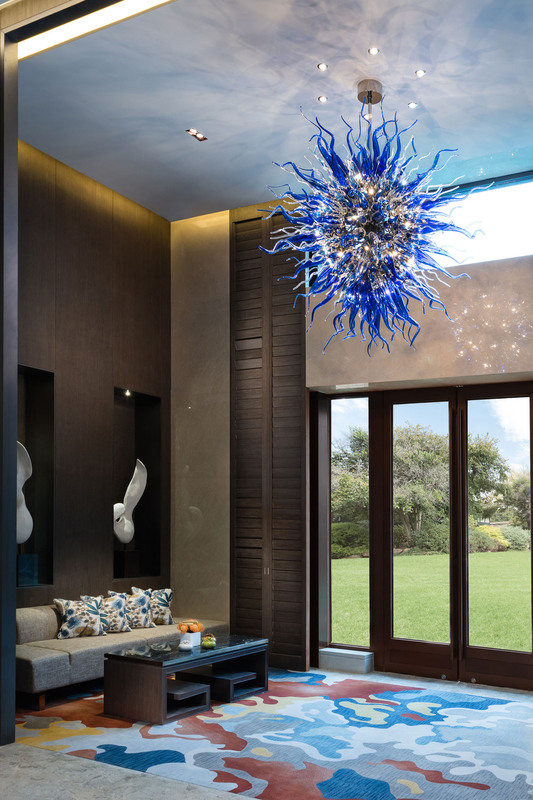 Every piece of furniture, light fixture and custom rug is treated like a piece of art would be in a gallery; all drawing design inspiration from various flowers and natural forms. 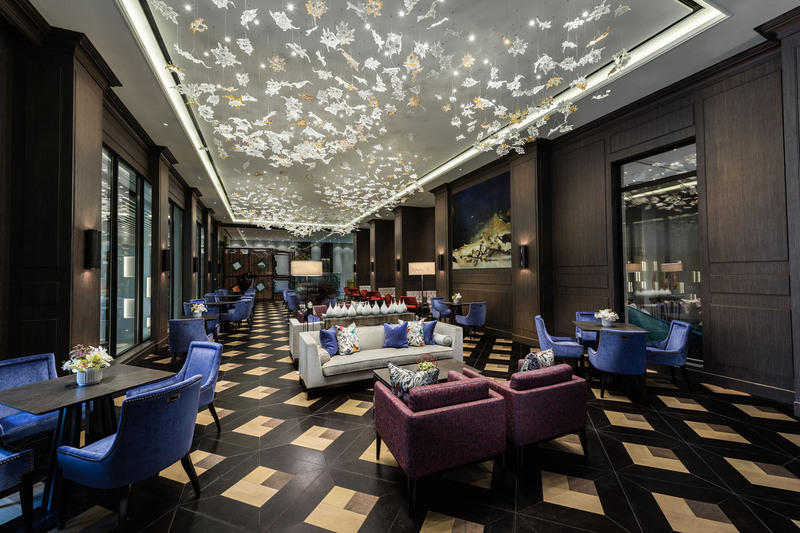 The ground floor lounge complete with 250 pieces of hand crafted crystal leaves that shimmer from the ceiling is one of our proudest achievements. 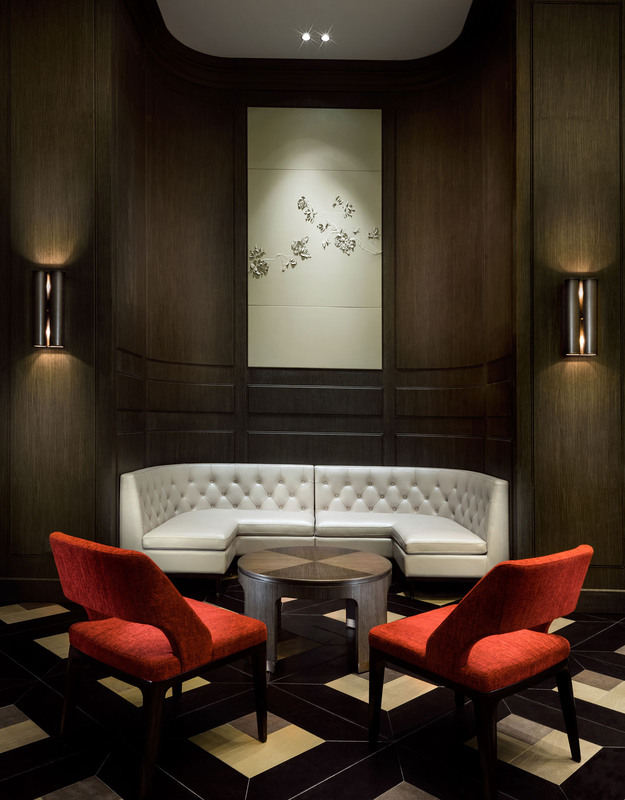 The aim was to mimic the style of a luxurious hotel lobby, with groups of comfortable seating and a coffee bar. The stunning ceiling details light up with different colours and each crystal twinkles to exude the essence of luxury we wanted to capture. SBID International Design Awards is not only a very prestigious award to be part of, it is also an honour and a testimony of the great minds of peers in the design industry. If you missed last week’s Project of the Week featuring a lavish villa apartment in the coastal province of Southeast China, click here to see more.